Back when jackets still closed at the top, the boutonniere was a functioning buttonhole. It’s purpose was to allow closing your jacket all the way up. Today it is instead for the adorning of flowers, lapel pins and the occasional monocle clips. The word boutonniere is in fact the French word for buttonhole, and a certain tailoring technique can add new distinction to the lapel. Cut and stitched by hand, the Milanese buttonhole on the lapel of your jacket will provide a unique touch of elegance and prestige to your bespoke suit. 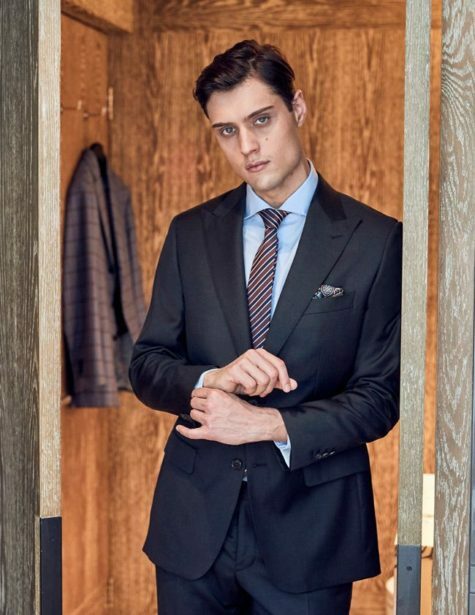 Believed to have originated in Italy and then made popular by Italian tailors in France, the Milanese buttonhole is the apex of a fundamentally tailored suit. 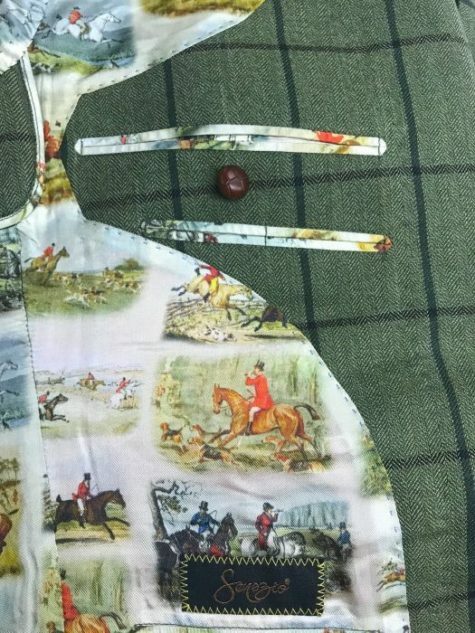 You will be hard pressed to find functioning buttonholes on most off-the-rack suits, let alone fully functioning finishing touches like this. The offering of a Milanese buttonhole is something only a quality tailor can provide. 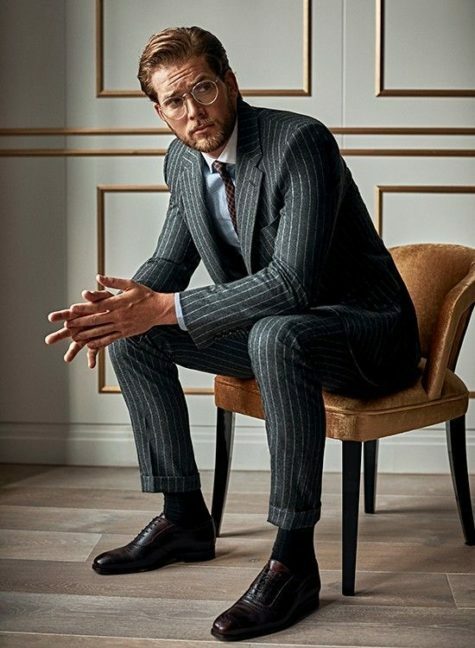 Where machine made buttonholes have the lapel buttonhole stitched by machine and cut afterwards, the Milanese must be cut first and then carefully hand-stitched after. It involves a piece of thread called a “gimp” which is hand-stitched to surround the buttonhole. To the left on the blue check lapel (below) we see a traditional buttonhole. While still a superbly crafted and fully functional buttonhole, this style does not require the same level of craftsmanship as the Milanese examples next to it. Notice the higher raised surface and smooth sheen. The silk threads are wound around the gimp and tightly next to each other in order to achieve this aesthetic quality. Depending on your tailor, they can be done in various shapes. The Milanese buttonhole requires extra labour but it is a detail our distinguished clients opt for. Pair your handsome mug next to one of these on your next jacket and you might just bring the suit-connoisseurs in your office out of the woodwork! 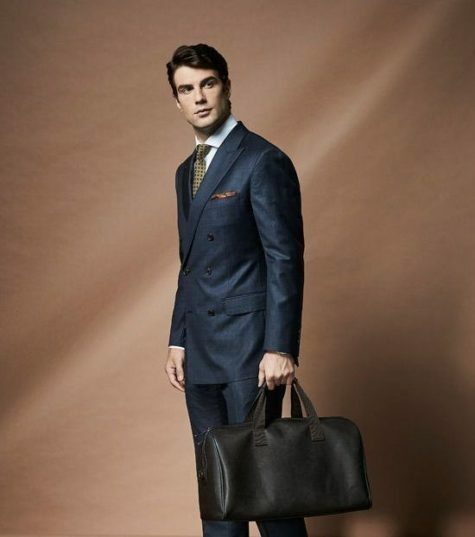 Simply ask your Senszio tailor to add one on your next order with us for an additional touch of style.